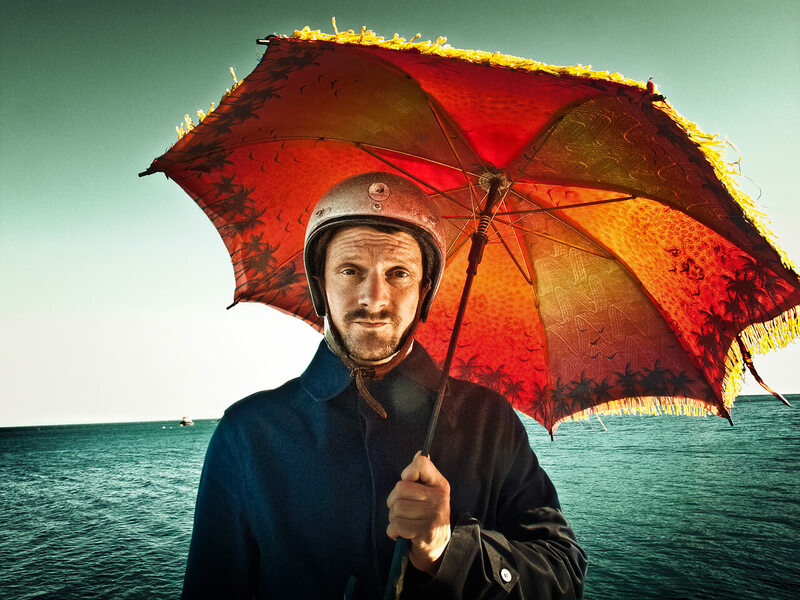 Stefan Kozalla, also known as DJ Koze, lives and works in Hamburg as a club DJ, musician, remixer and successful producer and Kompakt recording artist. DJ Koze worked his way up through the German hip-hop scene and released several records with his band Fischmob, which won him a strong fan base of young and politically left-leaning people. Although he’s not afraid to throw down and rock the mic, Koze really shines behind the decks. He’s got a light, subtle approach that belies the fact that he once took home the runner-up prize at the DMC DJ Championships. Fischmob’s album Power and various smash singles stormed the German pop charts, and the corresponding video enjoyed a month-long, high-rotation run on both MTV & VIVA. DJ Koze has had a taste of pop success with Fischmob, but he’s always been equally interested in experimenting with other forms of electronic music from ambient to break beats to wild sound collages from a myriad of musical genres. An especially notable voyage in to uncharted musical waters, Adolf Noise (produced and performed by DJ Koze and his buddy Marcnesium) turned many a head around. As a live DJ, Koze builds his sets on house and disco tracks and uses his well-honed hip-hop skills to blen it all together. He has toured the world and co-runs the Pampa Records label. Melt! Festival takes place July 19th-21st in a former coal mine in Ferrpolis, Germany. EB will be there refreshing the audience with our ice cream van! EB is presenting 20 Years of Kompakt, a beach party in Barcelona on the Sonar weekend. What's not to like about that sentence? Details inside. Merry Christmas. Here's a present: Online Editor Walter W. Wacht's picks of the year featuring Dean Blunt and Inga Copeland, Grizzly Bear and DJ Koze.